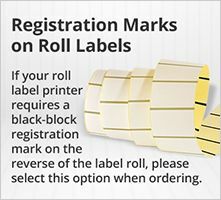 Do you print on the labels? If no, do you use third-party print service? What products from the following list have you used and/or might consider using in the future? Please tell us about the three most important aspects of our products and service for you, by ticking three of the headings on this page. We thank you for taking the time to complete this brief questionnaire and your answers will help us to understand how we might improve still further the products and service available for customers. In these terms reference to the "Order" is a reference to your order for the goods, whether made verbally or in writing by telephone, fax, post, email, online or other means. "Writing" includes email and online transmission and other comparable means of communication. All Orders constitute an offer by you to enter into a binding contract, which we are free to accept or decline at our absolute discretion. No legal contract will exist between us in relation to the goods set out in your Order unless and until the Order is accepted by us and will then be subject to these terms. Confirmation of our acceptance of your Order, and at which point a legally binding contract will come into existence between us, will occur by our issuing you with a written acceptance (which may be by electronic email) or by notifying you that the goods set out in the Order are ready for delivery to you. The payment by you and our acceptance of any deposit does not itself constitute an acceptance of your Order and the deposit will be refunded in full if we do not accept your Order. 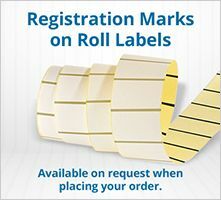 Please check these terms and the information set out in your Order (and any documents or drawings that you have supplied that are to form part of the Order) carefully before submitting your Order to ensure that they are complete and accurate as we cannot be liable for any inaccuracies or omissions in your Order. Please check in particular that you have ensured that the items Ordered are compatible with your equipment. If you think that there is a mistake or omission, please notify us immediately, but if we have already accepted your Order you will be bound by the terms of that Order unless we are able to agree otherwise. We will endeavour, but are not obliged, to agree to any change requested but no amendment or cancellation of an Order will be effective unless agreed by us in writing or in accordance with your cancellation rights below. Please note that nothing in these terms will apply to exclude or limit your rights, where they apply, under the Consumer Contracts (Information, Cancellation and Additional Charges) Regulations 2013 which set out certain rights, including a right to cancel certain Orders within 14 days. These Regulations, and this section of our terms, only apply where you are purchasing as a consumer, and not where you are purchasing in connection with any business, trade or profession. To exercise your right to cancel, you must notify us of this within 14 days after the day on which you receive the goods or the last instalment of them (if sent by multiple deliveries). You can cancel by email: customercare@aalabels.com or telephone 01733 588390, or by post to 23 Wainman Road, Woodston, Peterborough, PE2 7BU, United Kingdom. You may use the model cancellation form here, but it is not obligatory. Please ensure that any notice clearly confirms that you are exercising this right and confirms your name, address, the details of the order (such as the order number and date of order) and contact details for you. If you do exercise this right, you need to return the goods to us at your cost within 14 days of the date of the cancellation notice. We will then reimburse to you (by the same method used to pay for the goods) the price of the goods to which cancellation notice relates. This includes any standard delivery charges that we made when sending the goods to you in the first place, but not the costs of any more expensive method of delivery that you may have asked for. Until the goods are returned to us you must keep possession of them and take reasonable care of them. Please note that we can deduct from any reimbursement the loss in value of any goods if you do not return them within the 14 day return period or if they have been lost or damaged as a result of you not taking reasonable care of them. Your right to return goods does not apply to orders for goods made or modified to your specification or which you or anyone else authorised by you has used. 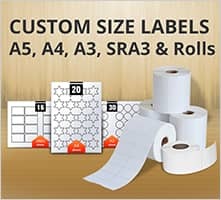 Please note that our supply of labels to your order, such as your choice of shape, sizing, pattern or materials, is a supply of goods to your specification as these items are made specifically on your request and are not supplied from existing stock. Accordingly you do not have the right to cancel under the Regulations. If your order includes an order for any services from us, other than provision of goods to your specification, we will require your separate authority to proceed within the 14 day cancellation period and this will affect your cancellation rights. If we proceed within your authority within the 14 day period but you then cancel under the Regulations, you will still be required to pay us a proportionate amount of our charges for the services provided before you cancel, or the full amount if the services have been fully performed. These provisions do not limit your rights in respect of goods or services that were damaged or defective or of unsatisfactory quality when supplied by us, in which case please notify us of the damage or defect or unsatisfactory service and we will arrange collection of the affected goods and inspection of the works at our expense. We will provide goods that are at their time of delivery by us of satisfactory quality, in conformity with the accepted Order and fit for any purpose we say the goods are fit for. We will carry out any agreed services with reasonable care and skill in accordance with our statutory duties to you. Our duties and warranties to you do not apply to any damage or defect in goods arising from fair wear and tear, wilful damage, accident, negligence by you or any third party, if you use the goods in a way that we do not recommend, if you have ordered the wrong items, if you fail to follow our reasonable instructions, or any alteration or repair you carry out without our prior written approval. Unless otherwise agreed by us, any samples, drawings, descriptions or advertising we issue, and any descriptions or illustrations contained in our catalogues or brochures, are issued or published solely to provide you with an approximate idea of the goods and services they describe. We will not be liable for any innocent minor variations that do not affect the quality and usability of the goods. 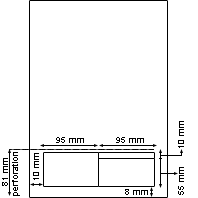 This can happen for example as a result of publishing variations or different screen resolutions and the actual shade and tone and other colour features of the goods may appear differently on separate monitors and other display devices and may vary slightly from batch to batch in the manufacturing process. 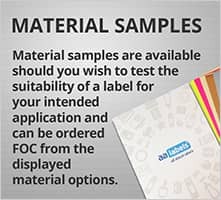 Samples are available, though actual colour representation of the final product may still vary from batch to batch and any sample provided may not be from the batch subsequently supplied as part of your order. Please note that in the event that a generic or brand compatible item ordered by you is not available at the time of despatch, we reserve the right to substitute an ordered item with another suitable generic or brand compatible item of equal or higher value. If you are not satisfied with the substitution you may cancel the order as set out above and we will meet the cost of returning the substitute goods. We will not substitute original brand products without your prior agreement. These terms do not affect your statutory right to cancel or any rights that you may have to make a claim against us or the manufacturer for any breach of statutory duty, breach of contract, or negligence. Unless we have agreed special delivery arrangements with you, Orders are usually despatched for standard delivery within 3 to 5 working days of confirmation of your Order. However, occasionally delivery may be affected by factors beyond our control and so cannot be guaranteed and time of delivery is not of the essence of the contract. Delivery may be by a single delivery or by several instalments. Our failure to deliver any particular instalments will not entitle you to cancel the whole Order (other than under your consumer cancellation rights) but we will replace or refund the missing items. You will not be charged extra delivery costs if we deliver by instalments unless we have agreed this with you at the date of acceptance of the Order. Full risk and responsibility for damage caused to or by the use handling or storage of the goods will pass to you on delivery of the goods to you (including from the moment of collection from our premises if we have agreed this as the delivery address). Delivery will, unless otherwise agreed by us, be to the premises stated in the Order. If you refuse or fail to take delivery of goods in accordance with the Order or provide us with incorrect or inadequate delivery details, full risk and responsibility for the goods as above will pass to you at the time of our attempted delivery. We will also be entitled to charge you (and to deduct and retain from any payment by you) an amount representing our reasonable assessment of our expenses (including restocking costs and insurance) and lost profits in fulfilling your Order. Our restocking costs are usually 30% of the value of the Order (excluding VAT) but may be lower than this where we assess our reasonable costs to be less. Where we are supplying any goods for delivery outside of or export from the United Kingdom, it is your responsibility to ensure that all laws and regulations relating to the importation of the goods to the destination territory are complied with and all importation and other local duties and taxes are paid. 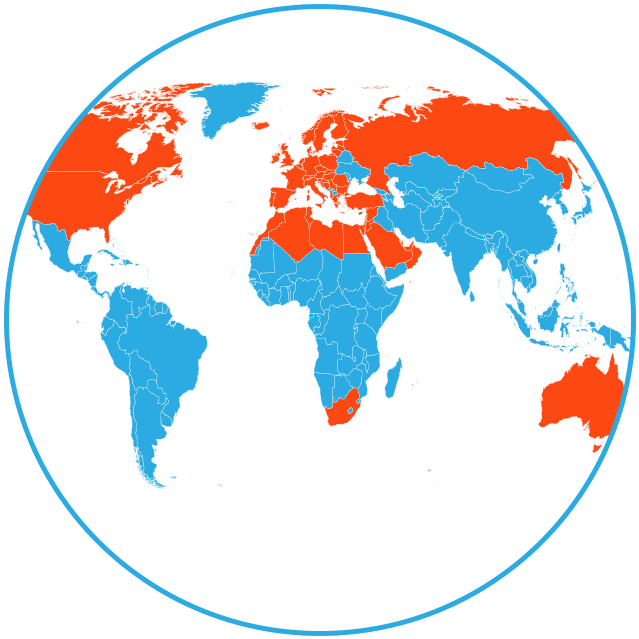 You agree that you will not offer for sale or distribute any goods supplied by us into any territory that we have, before acceptance of your Order, notified you that you may not do so or to any person whom you know or suspect intends to offer or distribute the goods to such territory. The following provisions are separate to your consumer cancellation rights. You are required to inspect all goods and notify us in writing of any shortage damage defect or other non-conformity with the Order within a reasonable time from delivery. In most cases, and unless otherwise agreed by us, we would expect this to be within 3 days of your receipt of the goods or, in the case of late or non-delivery, 3 days from the due date of delivery. If you fail to do so, or if you fail to return to us or allow us to collect the relevant goods, you will be deemed to have accepted the goods as having been delivered in accordance with the Order. We will arrange collection of any perceived faulty or defective goods on a date agreed between us or ask you to return the goods to us at our cost (subject to recharge to you in the event that the goods are identified as not being faulty or defective). Before returning any goods to us, please contact us to obtain a return merchandise authorisation (RMA) number or so that we may advise you to contact the manufacturer direct if your claim is covered by its warranty. Please ensure that goods are returned to us within 10 days of our issuing you with an RMA number. We may be unable to process goods received after this period or without a valid RMA number and the items may be returned to you. In the event that any goods are confirmed as having been faulty or defective or missing at the time of delivery and we are liable to you in that regard, we will at our discretion offer you with a full or partial refund depending on the goods affected or repair or replace the affected goods. Upon doing so, we shall have no further liability to you (whether for breach of contract, breach of warranty or otherwise) including for any delay, loss of goodwill, loss of profit or other costs expenses or losses arising as a result. We will own any goods that are returned to us as faulty and will be entitled at our discretion to return these to the manufacturer, recondition them, or otherwise deal or dispose of them. 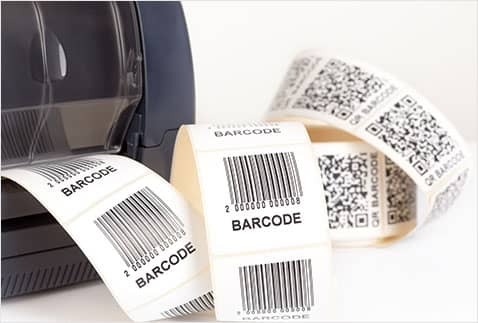 In the event that on analysis it is identified that the goods were not faulty or defective and did comply with these terms when delivered, then we are entitled to charge you for those goods in accordance with these terms and also to charge you for the costs of collecting them and our usual price for any replacement goods supplied that we were not obliged to provide. The price of the goods and services will be as set out in the Order as accepted by us or, if no price is stated in the Order or the quoted price has expired, the price will be as set out in our price list in force at the time we confirm your Order. If there is any difference or ambiguity between our relevant price list and any prices stated in the Order, the prices stated in the Order will apply once we have accepted the Order. Please note that, unless previously withdrawn by us or otherwise stated in the quotation, any quotation given by us will only be valid for 30 days from the date it is given. We may amend our published prices at any time, though this will not affect Orders already accepted by us. We will notify you before accepting your Order if there has been a variation in our prices after the date your Order was submitted. Unless otherwise stated in the Order these prices exclude VAT for which you will be additionally liable at the rate applicable to the Order. You will additionally be liable for our costs of packing loading unloading carriage and insurance in respect of the Order. Where you are purchasing as a non-consumer, we may amend our carriage and insurance charges up to the date of delivery to reflect any actual increases in these costs to us between the date of acceptance of your Order and the delivery date. We may not increase our delivery charges for consumer Orders without your agreement. It is always possible that, despite our best efforts, some of the goods we sell may be incorrectly priced. We will normally check prices as part of our dispatch procedures so that where the correct price for the goods is less than our stated price we will charge the lower amount when dispatching the goods to you. If the correct price for the goods is higher than the price stated then we will normally, at our discretion, either contact you for instructions before dispatching the goods or reject the Order and tell you. If the pricing error is obvious and unmistakeable and could have reasonably been recognised by you as a mispricing then we do not have to provide the goods to you at the incorrect lower price. Unless otherwise agreed by us, payment for all goods must be made in full (without deduction set-off counterclaim or other withholding, unless pursuant to a Court order) in cleared funds or by credit or debit card in advance of delivery. Time is of the essence for payment and we may refuse to fulfil your order if payment is not made when due. We may at our discretion offer credit terms which, where agreed by us, are usually 30 days from the date of invoice or end of the calendar month. Credit terms are usually only available to existing customers with an order history from us. If you wish to apply for a credit facility, please contact us for details. You must ensure that you provide us with all information and documentation that we may reasonably require for considering any credit request and that all such information is true and accurate in all respects. We may withdraw any agreed credit at any time on not less than 14 days' notice to you, or immediately without notice in the event that you fail to make any payment in accordance with the agreed credit terms or if we believe that any of the information or documentation that you have provided to us as part of your credit application is incorrect misleading or fraudulent. Upon the withdrawal expiry or termination of any credit facility, the full balance of the account will be immediately due and payable. If you do not make any payment due to us in cleared funds by the due date for payment, we may charge interest to you on the overdue amount at the rate of 2% a year above the base lending rate of HSBC Bank plc from time to time. Where you are dealing with us other than as a consumer, we reserve the right to charge interest under the Late Payment of Commercial Debts (Interest) Act 1998 and related regulations. Interest will accrue on a daily basis from the due date until the date of actual payment of the overdue amount, whether before or after judgment. You must pay us interest together with the overdue amount. Without limiting any other remedies or rights that we may have, if you do not pay us on time, we may cancel or suspend the Order and any other outstanding Order until you have paid the outstanding amounts. Where you are purchasing as a consumer, ownership of and risk in the goods will pass to you on delivery, subject to any subsequent cancellation in accordance with your consumer cancellation rights. (d) We shall then have the right to sell or otherwise dispose of the goods as we consider appropriate and charge and recover from you our costs and expenses incurred in connection with the repossession storage insurance and disposal of the goods. We shall apply the proceeds of any such sale or disposal towards the liability owed by you to us. Either party may terminate the contract if the other becomes insolvent or bankrupt or is unable to pay debts as they fall due. This provision will not relieve us of an obligation to complete the delivery of any goods that have been ordered and fully paid for by a consumer prior to that consumer becoming insolvent or bankrupt. We may also terminate the contract if you fail to pay when due any sum required to be paid by you under these terms. Termination will be without prejudice to any rights or obligations that have accrued to the date of termination and without prejudice to any other rights or remedies available to the parties. We may share such personal data with our agents, or subcontractors performing services for us. You agree that we may also transfer personal data to affiliated companies or agents or subcontractors which may be outside the European Economic Area (EEA), in which case we will ensure adequate protection to safeguard personal data. If for any reason you are unhappy with our products or our services or the way in which we have treated you, please contact us in writing by email: customercare@aalabels.com telephone 01733 588390 , or by post to AA Labels, 23 Wainman Road, Peterborough, Cambridgeshire, PE2 7BU, United Kingdom so that we may discuss this with you. We will not be liable or responsible for any failure to perform, or delay in performance of, any of our obligations under these Terms that is caused by events outside our reasonable control (referred to as a "Force Majeure Event"). Our obligations under these terms will be suspended for the period that the Force Majeure Event continues, and we will have an extension of time to perform our obligations for the duration of that period. We will take reasonable steps to bring the Force Majeure Event to a close or to find a solution by which our obligations under these terms can be performed despite the Force Majeure Event. Subject to the provisions below, we shall not be liable or responsible for any losses that you may suffer or incur as a result of any breach of contract negligence tort or other cause by us except for those losses which are a foreseeable consequence of our failure to comply with these terms. Subject to the provisions below, neither of us will be liable under the contract for any loss or damage that is not reasonably foreseeable when the contract was formed or which results from a breach of any of the terms of this contract by the by party suffering the loss or damage nor will we be liable to you for any loss of profits, loss of sales or business, loss of agreements or contracts, loss of anticipated savings, loss of or damage to goodwill, loss of use or corruption of software, data or information, or any indirect or consequential loss arising from any delay or failure by us to provide the goods or services in accordance with the Order. Our entire liability to you under these terms will not in any event exceed the value of the goods (and reasonable carriage and insurance costs for such goods) to which the claim relates. We are happy to discuss with you on request higher limitations of our liability with you subject to availability and affordability of suitable insurance against such liability. Green Technologies Ltd T/A AA Labels, AA Labels, 23 Wainman Road, Peterborough, Cambridgeshire, PE2 7BU, United Kingdom . 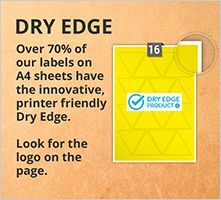 AA Labels is a trading name of Green Technologies Ltd whose registered office address is Unit 3, Fengate Trade Park, Fengate, Peterborough, PE1 5XA. We may give notice to you at either the e-mail or postal address you provide to us in the Order. Notice will be deemed received and properly served 24 hours after an e-mail is sent or three days after the date of posting of any letter. In proving the service of any notice, it will be sufficient to prove, in the case of a letter, that the letter was properly addressed, stamped and placed in the post and, in the case of an e-mail that the e-mail was sent to the specified e-mail address of the addressee. Our VAT registration number is 945 0286 20. The contract between us will be subject to English law. If any court or competent authority decides that any of the provisions of these terms are invalid, unlawful or unenforceable to any extent, the term will, to that extent only, be considered deleted from the remaining terms which will continue to be valid to the fullest extent permitted by law. If we fail, at any time while these terms are in force, to insist that you perform any of your obligations under these terms, or if we do not exercise any of our rights or remedies under these terms, then that will not mean that we have waived such rights or remedies and will not mean that you do not have to comply with those obligations. If we do waive a breach by you, then this does not mean that we cannot take action against you in the future for any other breach of this contract.